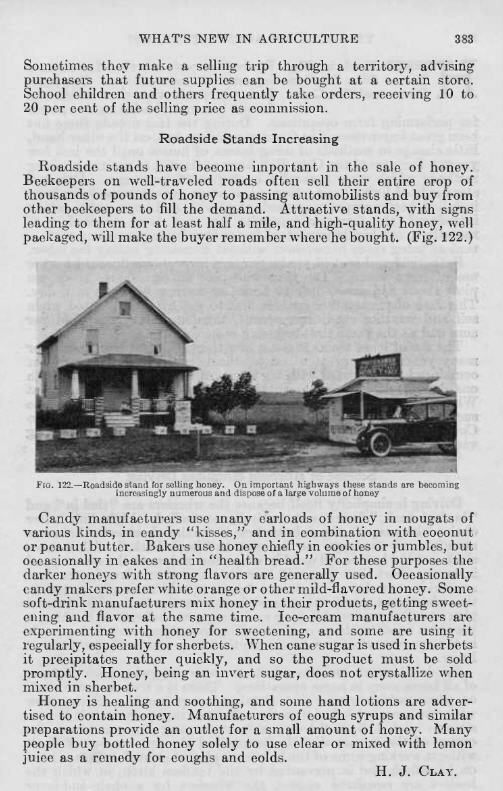 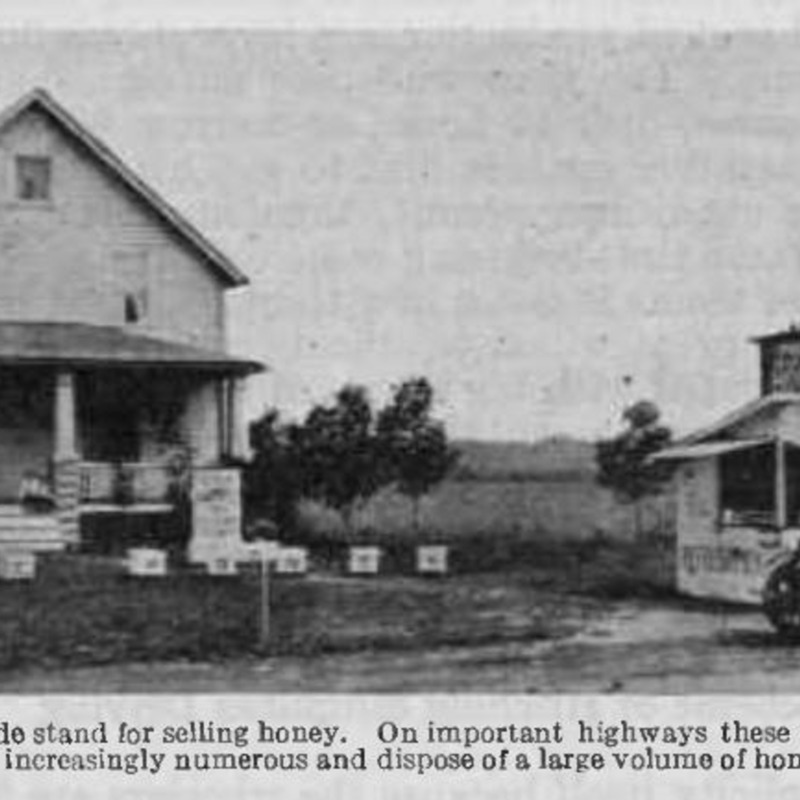 Roadside stands have become important in the sale of honey. 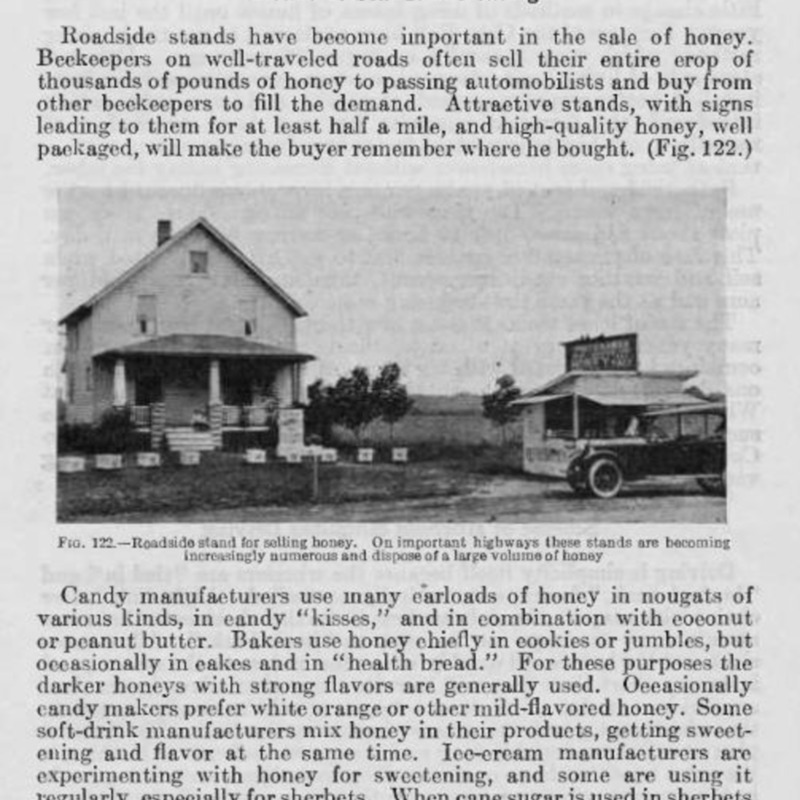 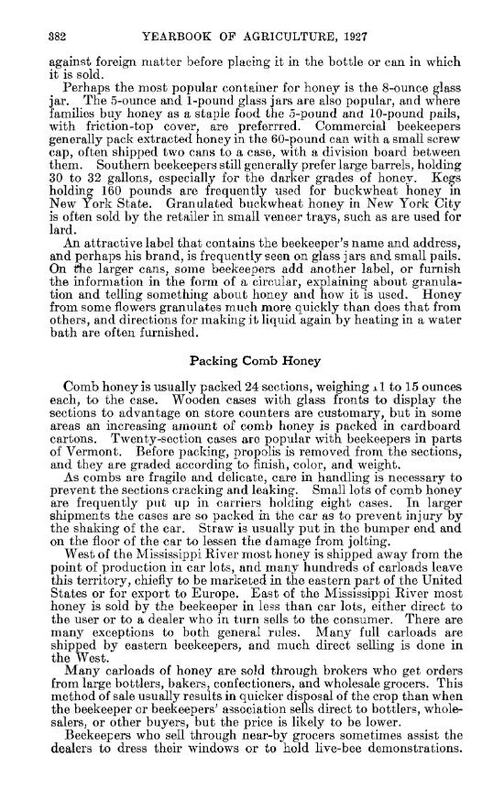 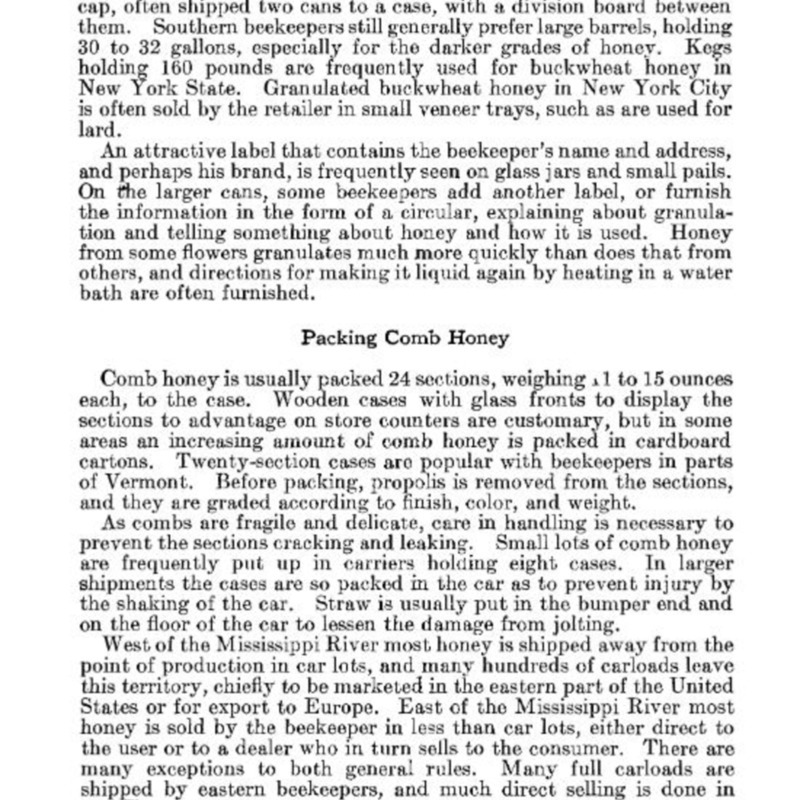 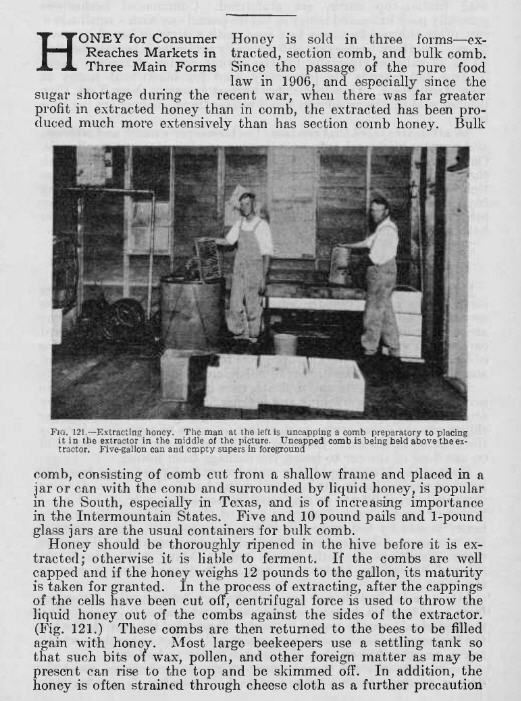 Beekeepers on well-traveled roads often sell their entire crop of thousands of pounds of honey to passing automobilists and buy from other beekeepers to fill the demand. 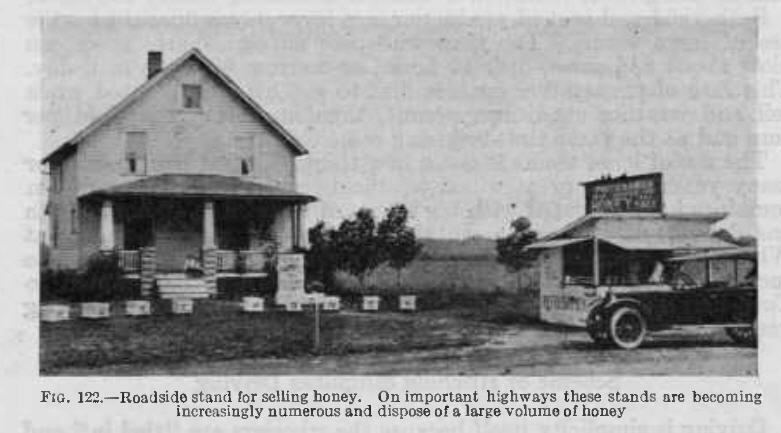 Attractive stands, with signs leading to them for at least half a mile, and high-quality honey, well packaged, will make the buyer remember where he bought.